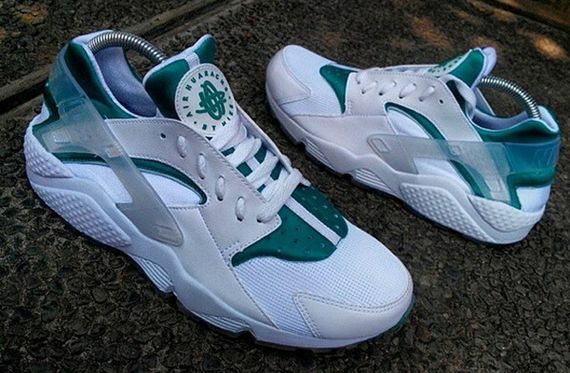 Nike has, thankfully, been going Huarache crazy this year. The latest piece of news in Huarache land is the Air Huarache “City” pack which today we get another small glimpse of. This “Paris” rendition sees a translucent plastic piece adorn a predominantly white upper that gets details of an interesting shade of green. Not much in the way of release info as of now but as always stay tuned to MN for the latest on these and other pending releases.